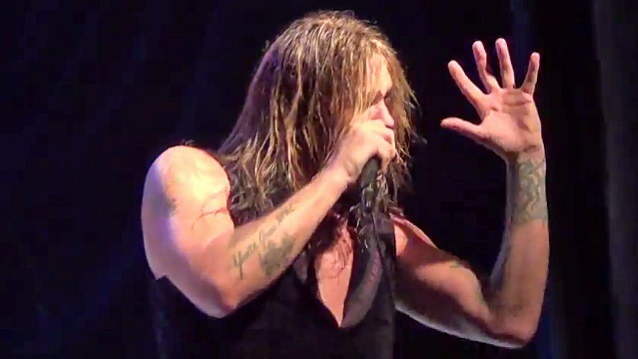 Former SKID ROW singer Sebastian Bach says that he is "starting to feel normal again" after recently undergoing a hernia operation. He says: "The surgery on my guts is healing up and I can't wait to start [performing live] again!" According to Bach, his hernia operation was needed "because [he] literally screamed [his] guts out." Sebastian's next performance is scheduled for August 27 at the Hull City Hall in Kingston upon Hull, England. He will be appearing with ROCK N HULL ALLSTARS, also featuring George Lynch (DOKKEN, LYNCH MOB) on guitar and Vinny Appice (BLACK SABBATH, DIO, HEAVEN & HELL) on drums.